No doubt champagne corks will have popped among makers of electric cars late last week, as Boris Johnson was confirmed as the new London Mayor. One of the primary markets for their products, the UK’s capital, had just come back from the dead. To recap, from October this year, electric cars were due to lose their special status as vehicles exempt from the London Congestion Charge. While they were to continue to slip into the zone without paying the £8 per day toll, so too would any small car falling into road-tax band A or B. £8 per day can quickly mount up in thousands, so exemption is a real financial plus – and spreading that benefit out into the ranks of conventional superminis would have spelled death for the electric car in the capital. Faced with an equal congestion-charge benefit from choosing a G-Wiz or, say, a Toyota Aygo, most punters would not be calling GoinGreen to snap up a Wiz. While outgoing Mayor Ken Livingstone was not hostile to the electric runabout, he did nothing to promote it. He reportedly said that his planned £25 charge on the most polluting cars would not have been acceptable to the public without the freebie for smaller cars, and the damage to the electric car startups was not an issue. “I have just overtaken two girls in the cleanest, greenest, sweetest four-wheeled self-propelled invention to hit the London streets since the first horseless carriage arrived at the end of the 19th century. This machine is so simple and yet so revolutionary that it restores one's faith in scientific progress. Not since the windmills sprouted on the roofs of Notting Hill has there been a gizmo so deliriously trendy and yet so gentle to the upper air. 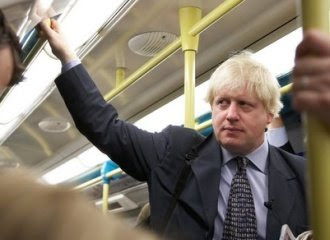 Plus, Boris has pledged to allow motorcycles to use bus lanes in London. We wonder if he will put a broad smile on the faces of EV makers and users alike by extending the same huge benefit to electric cars.